Whoever said that flowers are essential in the dating world? What movie was it that made flower giving a trend? Even you can’t remember. Flowers have long been a symbol of love, friendship, appreciation, and many other symbolic relationships. The giving of flowers to the people important to us started since time immemorial. Even in this technologically driven era, flowers are still considered important particularly in dating game. So, what are the reasons why you should give your woman a flower bouquet? It becomes a daily reminder of you… or at least until the flowers wilt and die. It’s one thing if you text her religiously in the morning and ask her how her day goes. It’s another if you send her some flowers to simply surprise her. Texting her everyday is completely different from sending her flowers simply because you want her to know that you’re thinking of her. Flowers are one of the wonderful creations in this world and it is a known fact that everybody loves looking at healthy, vibrant, colorful flowers. Once she looks at those wonderful flowers, she’ll definitely thought of the fact that you sent it to her and nothing can go sweeter than that. It helps brighten up her day especially if she’s having a rough one. We all want to cheer our loved ones up. And women usually have those days where nothing matters and everything has gone out of control. You wouldn’t want to deal with a woman who is in a bad mood and one of the solutions that you can come up with is to give her flowers. It does not have to be fancy or extravagant. 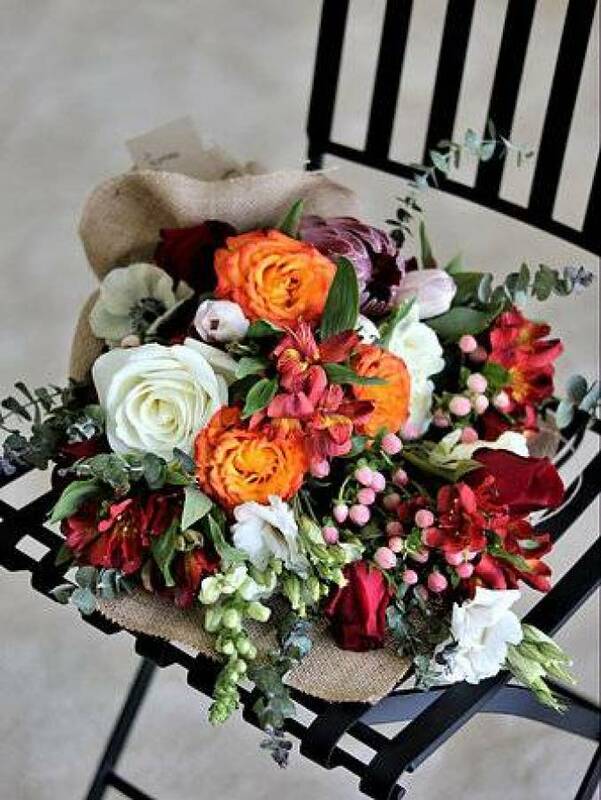 A simple bouquet of flowers is enough to lighten up her mood and to recover from the stressful day she’s been having. Flowers help relieve stress and they are also great at improving one’s mental health. It helps to express how you really feel without having to say it. Are you the kind of person who is always at a loss for words? Or perhaps do you feel like you always end up saying the wrong thing? Well, if you have something to say and you don’t want to ruin it by actually talking, send her flowers! Are you thankful because she’s always there? Do you want to let her know how much you love her? Are you sorry about the other day’s arguments? Flowers can help express whatever it is that you feel. And she would not feel bad about it. Flowers are often considered as a secret language in the dating game and this always works. If you are not up for that grand gesture of serenading her or writing her a poem, giving her flowers is enough to let her know how you really feel. Even a simple flower bouquets with a message that says “Hi” is enough to make her smile. So, go be a hopeless romantic and look for an online store to have your flowers delivered to her in no time.